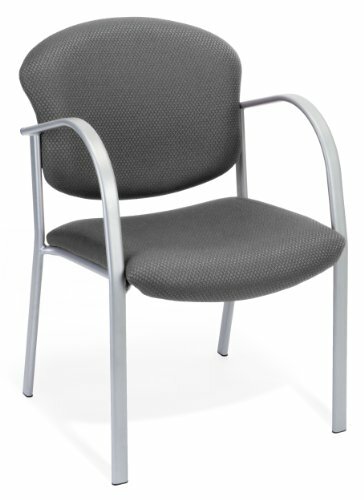 Make a statement about comfort and style with OFM danbelle reception chair, 414-13-GRAPHITE-OFM 414. Whether you choose from standard fabrics or elements in-stock textile upgrade program, your guests will immediately notice the cheerful note these chairs strike in your reception area. Once they're seated, they'll only notice the comfort of the waterfall seat design and the supportive, rounded arms. Choose from standard, scratch-resistant silver frame finish, or special order powder-coat black or chrome frame finishes for added style and durability. The sturdy steel tube frame Stands up to heavy use. Weight capacity up to 250 lbs.